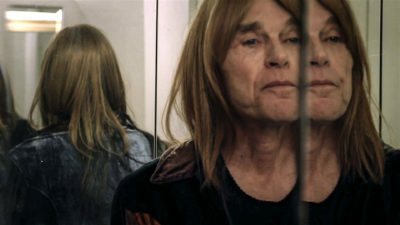 A sensitive documentary looking at the life and death of Shar Jones, a transgender person with early onset Alzheimer’s Disease, and the difficult choice he and his wife Cynthia Vitale faced as the couple struggled to figure out how to proceed amidst his chaotic decline. Tomorrow Never Knows highlights the couple’s journey as they set a course to Shar’s final days. This tragic love story offers profound implications for increasing awareness about choice in living and in dying. We have a list of content notes on our website for every film in the programme but please be especially aware that this film contains graphic images of death and dying. Film in the English language with English language subtitles/captions. The post-film discussion will be BSL interpreted. Hearing loop available.